A new front door offers one of the highest returns of any home improvement investment, adding to the value of the home about 90% of its value. New doors can also be an excellent way to save energy, and improve comfort. 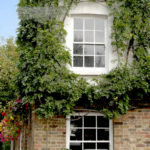 Some studies by the US DoE have found that drafty doors and windows all around in the average home end up wasting as much energy as a fully open window would. A new door is an important step towards ensuring greater warmth in winter, and coolness in summer. According to Renewal by Andersen of Louisville, a door replacement project involves precision skill and expertise. 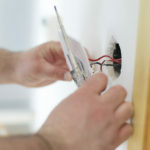 While all the skilled work is done by the crew, the project tends to go much better when the homeowner prepares for the arrival of the installation crew. The typical door installation project takes a half day, and in some cases, a full workday. With multiple workers focused on the job with tools, wires and supplies kept around, it tends to not be a safe environment for pets and children. It’s a good idea to arrange to have them be elsewhere. 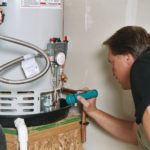 While it may be convenient for you to get installation done on a Sunday so that you don’t miss any work, it could be a day when everyone’s home. It may be a good idea to think of a weekday. It’s only a good idea to bring everyone back when the crew is done, and the entire area has been swept clean of nails, splinters and other debris. The door installation crew will need to bring its truck close to the worksite in order to be able to unload the door and all equipment. This means that the driveway will needs to be cleared to allow them access. The work area will need to be cleared of furniture, carpeting, and other odds and ends, as well. If the carpeting isn’t removable, you need to ask the crew if they plan to bring drop cloths for protection of the area. If you’re changing the door and the frame, you can expect some damage to the surrounding wall structure — crumbling bits, damaged paint and wallpaper. You should discuss with the crew if this is likely to happen, and arrange for a handyman who can help repair it. Before the installation crew arrives, it’s a good idea to ask about the peepholes. If you need peephole to check on anyone ringing the doorbell, you need to know how it is to be prepared — created at the factory, or arranged on-site. Whoever plans to be present day the crew works to be fully informed of all the requirements of the contract. It’s always important to check to make sure that the crew does execute the order as you’ve asked. Why Should You Opt For Floor Screeding? 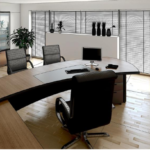 What Are The Factors To Consider When You Decide To Buy Office Desks?